We are presently presenting the popular Single Fat Church Candle at a great price. Don't miss it - purchase the Single Fat Church Candle here now! Our fat unscented church pillar candles come to you at a high quality. You can buy today in three convenient size with varying burn times to suit. The small church candle (height 8.5cm x diameter 7cm) will burn for 50hrs, our medium church candle (height 16cm x diameter 7cm) has a burn time of 100hrs and the large church candle (height 23cm x diameter 7cm) burns for 150hrs. 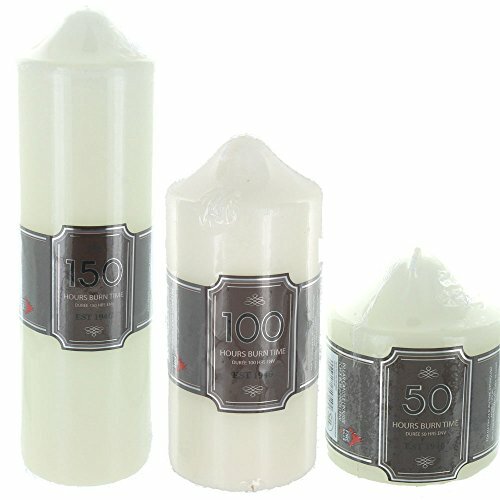 All burn times are approximate and these candles are perfect for many different special occasions and rooms around your home. 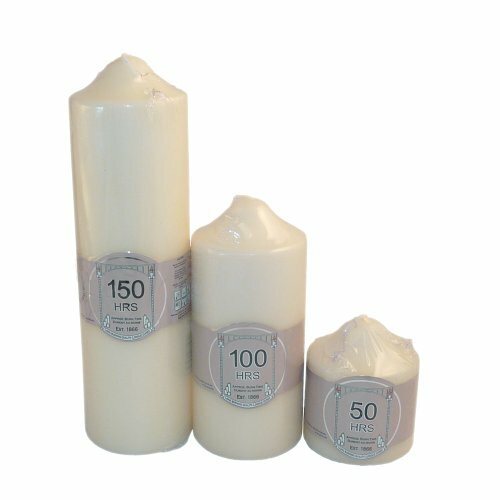 Our large fat unscented church pillar candles come to you at a high quality. You can buy today in three convenient size with varying burn times to suit. 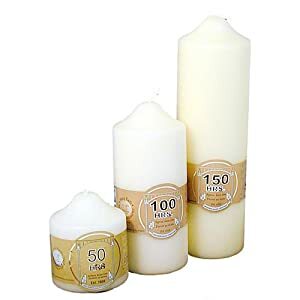 The small church candle (height 8.5cm x diameter 7cm) will burn for 50hrs, our medium church candle (height 16cm x diameter 7cm) has a burn time of 100hrs and the large church candle (height 23cm x diameter 7cm) burns for 150hrs. All burn times are approximate and these candles are perfect for many different special occasions and rooms around your home.